Borussia Dortmund striker Pierre-Emerick Aubameyang is reportedly set to join Chinese Super League outfit Tianjin Quanjian in a £70 million deal. 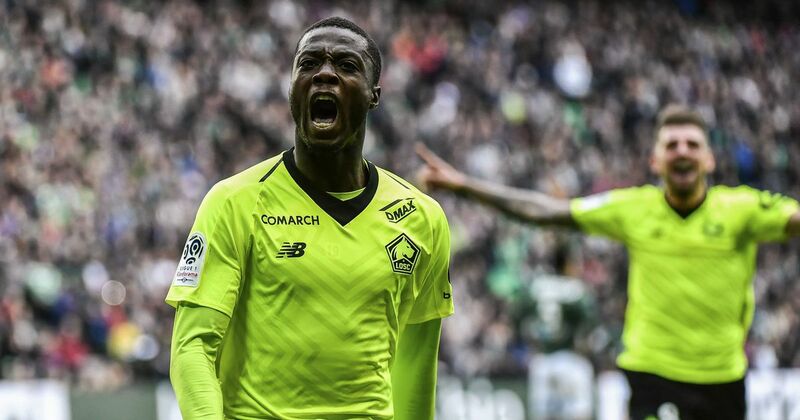 According to SportBild (ht/ Glen Williams of MailOnline), the Gabon international was linked with a switch to Paris Saint-Germain, while Liverpool and Chelsea have also been noted as potential suitors. However, it's Tianjin who appear to have won the race for Aubameyang. The Chinese Super League side already have big names like Alexandre Pato and Axel Witsel in their squad. The report suggested they will seek to lure Aubameyang to the club with a contract worth £26.5 million every year. Dortmund would be loath to lose the striker, as he has developed into one of the most dangerous forwards in world football at the Westfalenstadion. Not only is he effective in terms of goalscoring, the 28-year-old is thrilling to watch at the point of the Dortmund attack. Aubameyang boasts blistering speed, making him so dangerous when the game is stretched. Should a smart midfielder feed him with the right kind of service, there's no chance of defenders getting near him, while improved finishing has made the Dortmund man a massive threat. Cologne announce they've broken off talks with Tianjin Quinjian about a transfer of Anthony Modeste. Same club reportedly in for Aubameyang. Still, Aubameyang could have his pick of clubs across the globe. Managers for any side would love to call upon a striker who is so dynamic and clinical, especially given he is also coming into the peak years of his career. The funds on offer to the striker will obviously represent something of a head-turner, although the standard of football out in China, while undoubtedly on the up, does not measure up to elite European leagues. Missing out on the chance to challenge for the biggest honours in the game would be a strange choice for a striker who has worked so hard to establish a reputation as one of the best around.